Austria is a superb destination for winter sports and renowned for being one of the best places to ski in Europe. 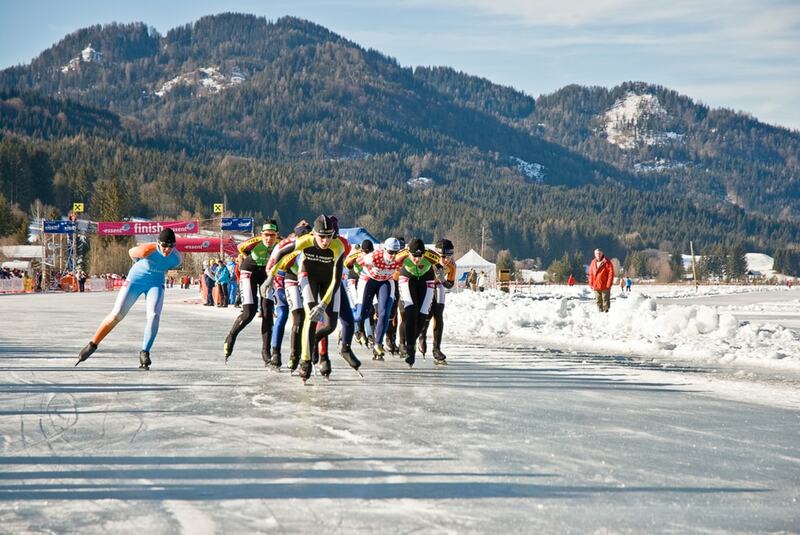 Various temporary ice skating venues pop up in front of the markets and natural rinks form on the rivers and lakes around Christmas time, and here are some of the best places to skating in Austria this winter. Each year around Christmas time, the space outside Vienna’s City Hall is transformed into an 8,500 m² (10,165.9 square yard) ‘ice world’. An ‘ice path’ is created, seeing winding tunnels pop up around the hall and a practice rink is on hand for amateurs and beginners. Open from 9 am to 10 pm daily, it is the perfect festive activity. This huge complex contains both an outdoor and indoor rink and is perfect for those learning to skate. Although simple and without the glamour of the special Christmas rinks, it has an antiquated charm. The Vienna Ice Skating Club, located close to the Stadtpark, has a huge range of events and activities for skating fans. On Fridays and Sundays, the venue doubles up as a disco dance floor with DJs pumping out tunes onto the rink. For those who want to improve their skating skills, there is also a variety of classes for every ability available. It doesn’t happen every year, but when the Danube River freezes over, it transforms into the most beautiful rink in the city. 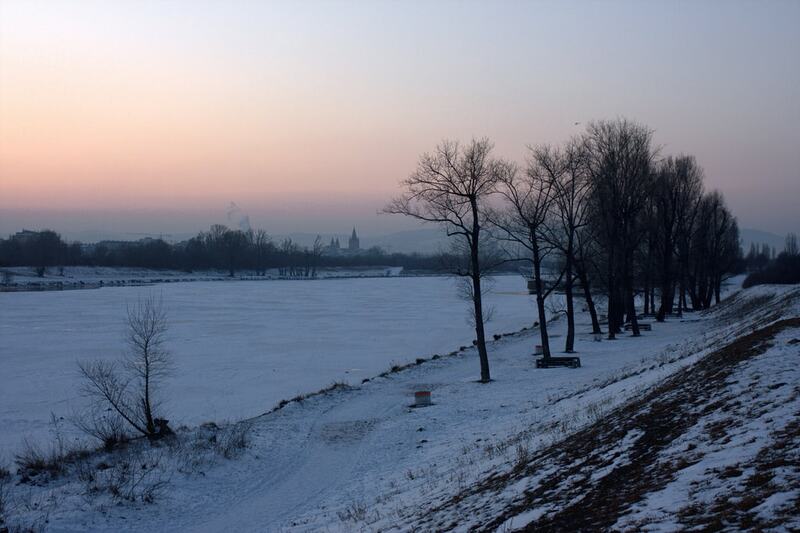 If the temperature drops low enough, throngs of skaters descend on the glassy surface of the Alte Danube. This huge complex is a hotspot for ice hockey and perfect for a casual spot of skating. It is located in the quaint city of Graz, a more unusual tourist destination. This rooftop rink is a favorite with families and panoramic views are among the highlights. This modern ice skating rink is perfect for visitors of all ages and experience. This rink is open from the end of October to the beginning of March. The ice surface is 60 x 30 meters (196.9 x 98.4 feet) and is equipped with a floodlight system and a music system that provides fun and entertainment. Legend has it that ‘Saint Corinthia’ is responsible for freezing Weissensee Lake, making for a wonderfully unique skating experience. The area where the natural ice rink is located is surrounded by the Gailtal Alps, making for a stunning backdrop to view while skating. EC Red Bull Salzburg, a professional ice hockey team, has this ice rink as their home. A spot of skating would be a perfect activity while holidaying in Salzburg. The two lakes that lie in a long basin that extends between Höllengebirge and a Flyschkette, freeze over from mid-January to mid-February and turn the crystal clear waters into mirror surfaces for skating.